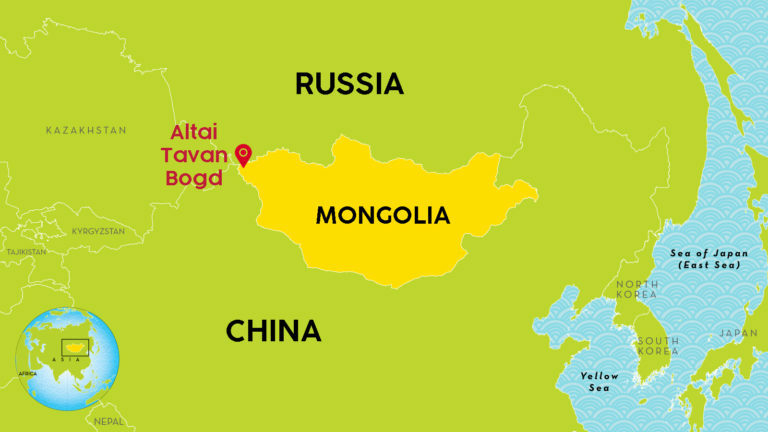 Everything is bigger in the Altai, the mountainous frontier between Mongolia, China, and Russia. This is what Damien and Dom discover there, skiing the high summits for three weeks and enduring early spring storms. Opening up to the vastness, they must overcome their differences and learn to survive together, totally isolated at their high-altitude base camp, a tiny yurt in an expansive terrain of snow. Once liberated from the modern electronic appendages, the 19 years old Damien immediately enters into resonance with the Altai Mountains of the Tavan Bogd, the Five Saints. He is the one opening the door to the sacred dimension of the place and to the interaction that its inhabitants nurture with them. Subtitles available in English, Dutch, German, Russian, Spanish, Italian, Portuguese, Polish. French dialogues subtitled in English, Dutch, German, Spanish, Italian, Portuguese, Polish.